According to the American Heart Association, one out of every three people in the United States has high blood pressure. When blood pressure is too high or extremely low, the vessels, organs and other tissues in the body may be damaged. Blood pressure numbers come from systolic pressure, the pressure of the heart pumping blood, and diastolic, the pressure of the heart at rest between pumps. Systolic is the top or first number, and diastolic is the bottom or second number, expressed as S/D. Normal blood pressure is less than 120 for the systolic reading and less than 80 for the diastolic reading, or 120/80. People may be normal with different numbers, and numbers are interpreted differently in the presence of some diseases. High blood pressure is called hypertension. According to the National Heart Lung and Blood Institute, if the patient's numbers are 120 to 139/80 to 89, prehypertension occurs. With all the numerical readings, if either number is high, it is classified as hypertension. If the numbers are 140 to 159/90 to 99, a stage 1 hypertension is present, while 160 or higher/100 or higher is stage 2 hypertension. A hypertensive crisis occurs when the numbers are higher than 180 for systolic and higher than 110 for the diastolic reading, according to the American Heart Association. In such cases, emergency treatment is required. Untreated high blood pressure leads to coronary heart disease, stroke, heart failure, kidney failure, heart attack, angina, fluid in the lungs, and loss of function in other organs and the brain. Since usually no symptoms are experienced before severe symptoms, blood pressure must be screened frequently in order for treatment to be effective. 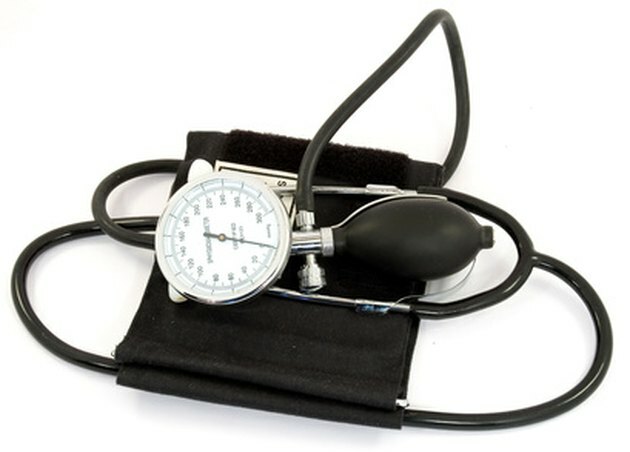 High blood pressure may be controlled with medication and lifestyle changes. Even untreated hypertension that is less severe may damage arteries, allow plaque buildup, cause blood clots and damage tissue and organs. Any case of high blood pressure is dangerous if left untreated. As explained by the National Heart Lung and Blood Institute, hypotension, or low blood pressure, is not usually a problem unless the numbers are lower than 90/60. Even then, it is problematic only if the patient becomes dizzy, begins fainting or enters shock. Hypotensive shock is an emergency and must be treated.